Technology-Portfolio.Net - When the Android Q Developer Preview was launched last month, it was discovered that Google could consider introducing new features to manage notifications in the form of "chat heads". For those who don't know it yet, this is a kind of Facebook that introduces the concept of chat heads which is a floating icon on the home screen, where users can tap to chat quickly with their friends. The advantage of this feature is that chat heads always exist and are on top of existing applications, saving users time rather than having to go back and forth to change applications. 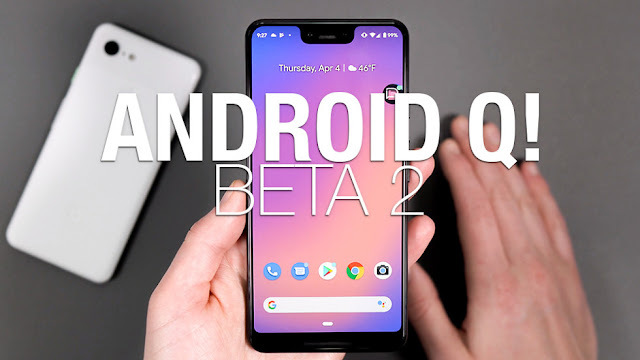 Now it seems like the feature has been confirmed in Android Q's second beta. On the Google Android Developers blog, the company announced a new feature they called "Bubbles". It seems that the feature will function in the same way as chat heads, except that this will work in more applications and notifications. According to Google, "Bubbles is great for sending messages because it allows users to keep important chats in easy reach. They also provide a comfortable view of tasks and ongoing updates, such as telephone calls or time of arrival. They can provide quick access to portable UI such as notes or translations, and can also be a reminder of tasks. " It seems that it can be an interesting and more convenient way to deal with notifications, although we imagine that some users might not appreciate these bubbles floating on their home screens all the time. However, Android Q is still in beta so for everything we know at the moment, this feature might not be available in the final version.